Take all the time you need... I don't have the stuff to get him right now, the more time I get, the better! "Soon" is trademarked? how mysterious! I hope he is not getting nerfed. Ooooh! you stole that trademark from the City of Heroes devs!!! That game had so much more than DCUO could offer. A shame they couldn't last... but I digress. Actually, I thought Smedley from Everquest was the original trademarked, but CoH could have been, too. Some of you may know the reference. Okay, seriously... when is this coming out? "Soon" may be funny, but it isn't helpful. You wouldn't have spoiled it if it wasn't soon. Soon™ means "not that soon". Same here. With all the pre conceived notions being made about him being broken before anyone ever plays him. oktagon just might. B1, B2 were touted to be broken. Strong? Yes. Not broken though. Well, there's a history to that. The community was often right (RishkarsEx, omni, Baral) and often wrong (like I was with the powerful but not oppressive niv Mizzet) when calling something not healthy. 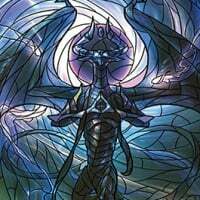 He'll be meta defining, just as bolas was and is.Where both bolasses are extremly powerful in control and combo, he'll be aggro and combo. The colors and deck building restrictions offer regular turn 3 and faster wins in standard - I tried it with karn without using his abilities. He's a Kiora with more options. He's samut with card draw and better deck building restrictions. Doesn't that make an alarm bell ring? He could only be balanced somehow by changing his spell and support slots like they did with samut, but still remain a top level walker. Also, such discussion are healthy for the game. We know that the devs get the info what we talk about. They'll make up their head by themselves and have no problem to throw insanely broken stuff (Stv, bsz) into standard anyway - but if we just take everything as it is, what's the point of the forum? By the way, there are regularly cards mentioned that could need a buff as well. Actually you were right about Niv until they nerfed/balanced Jaya. He went pretty much infinite with her ult. And they could absolutely tweak Brokhan's abilities a bit and still keep him powerful but less oppressive. Change his ult to only fetch 2 instead of 3, or say it can only fetch 3 different creatures instead of just the next 3 (just as a quick example). I would much rather see them make changes now rather than later. If they do it now its not a big deal (is it a nerf if he hasn't been released yet? Semantics! ), but if they release him for cash and then nerf him later it is absolutely a problem. But something more concrete than "soon" would be nice. Fair enough, I guess. But most of those kinds of combos are Legacy, since there isn't much gem conversion in Standard right now. I'm sure you can make some funky loops, but they certainly aren't as potent.